A perfect electric shaver for those who don’t wish to spend a lot for a fancy casing or a cleaning station. The ES-RT51-S comes with really impressive features that amuse its users in the longer run. 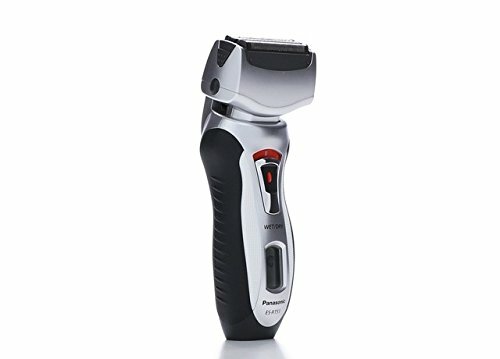 Why should you put your money on Panasonic ES-RT51-S Arc3 electric shaver? The Panasonic ES-RT51-S Arc3 is a pocket friendly solution. Coming in a simple white and black casing, it is easy to handle or hold. 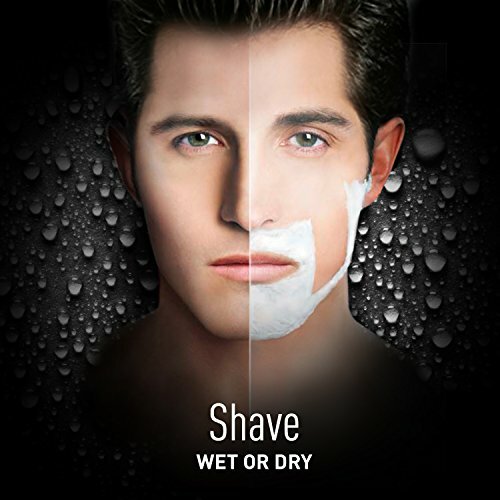 You can use this shaver for both wet and dry purposes. Shave under a running tap or take it with you under the shower. You can use it with shaving gels, foams and creams. Being a dual purpose shaver, you can use this device optimally while travelling. 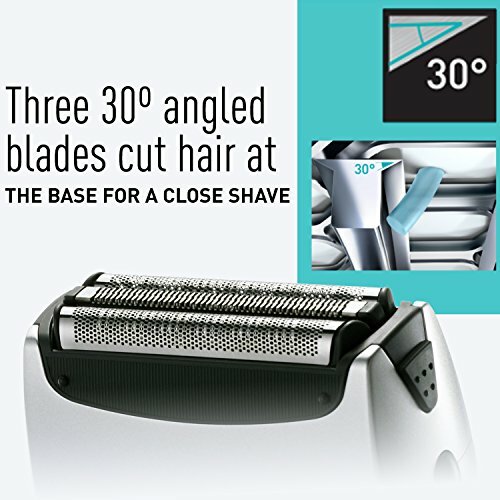 Not many, of the best electric razor for men, have a flexible pivoting head in this price range. But the Panasonic ES-RT51-S, has a foil head that pivots and moves as you shave. This allows the shaver head to adapt to the contours and turns of your jawline, cheekbones and the chin line. Apart from a 5-stage battery indicator, the LCD display of the electric shaver will also indicate, when your shaver needs cleaning and tidying up. Built with nanotech blades installed at an angle of 30 degrees, these blades are extremely sharp. Installed on the pivoting head to give you a smooth and clean shave right down to the base of the hair, that too without cutting or scraping delicate skin. With all the 3-blades capable of moving independently, it ensure that your skin remains smooth, clean along with reducing your shave time. If you are looking for a 5 blade cutting system check out the Panasonic Arc 5 here. 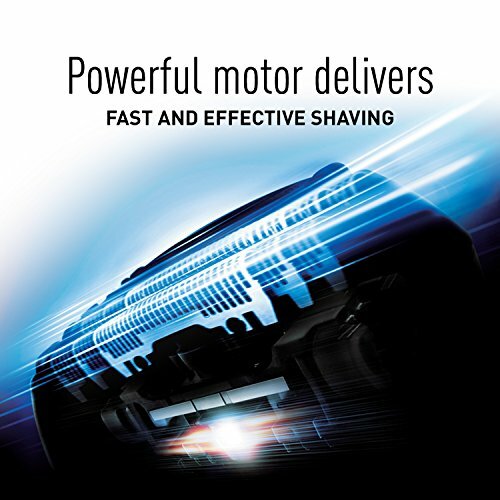 With a 10,000 RPM motor it is powerful enough to clear dense, thick and subtle beards. You will not experience any kind of pull or tug while using this device. Present at the back of the shaver, you can take care of those sideburns, moustache or your beard really easily. Weighting 7 ounces and measuring 6” x 1.6” x 2.4” this is perfect for those who are always on the go. 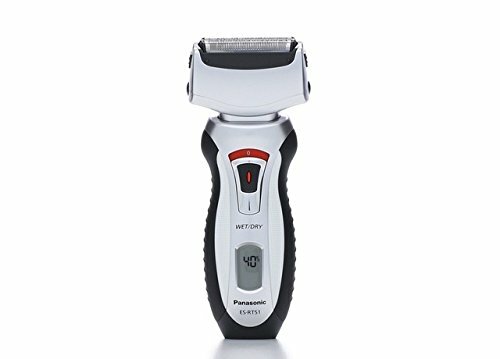 Some women with thick hair may not find a lady’s shavers to their liking, well the Panasonic ES-RT51-S Arc3 works really well when shaving lady’s legs. You, will be surprised to know how well this product runs when it comes to trimming hair on legs or underarms. Though Panasonic not made this razor to be unisex, not all men razor suitable for women, but he nanotech blades and pivoting foil style head on this razor seem to work really well even for women. Designed with ergonomics in mind, this electric shaver is sleek and easy to grip, even when it gets wet. It is very comfortable to hold even after a few minutes of shaving. It’s not too noisy or loud when compared to other electric shaver out there. The Panasonic ES-RT51-S Arc3 is one of their top-rated products from Panasonic. Majority of its users are very satisfied with its performance. It is a well-made product that has an understandable fan following.